Without an iota of doubt, climate change is inevitable but man-made interventions are accelerating this change. Unfortunately, Pakistan is among 7th most affected countries being affected by global warming and climate maledictions as highlighted by incumbent premier, Imran Khan while addressing students. The looming water crisis, droughts, smog and heatwave episodes are some of the prominent examples of capricious climate. Who is responsible for this scourge? It’s not the product of few days, it’s owing to reckless approach being followed from decades in the form of rampant deforestation, removal of green spaces, over-exploitation of resources, vehicular emissions and other associated activities. Now the apposite measure are the need of the hour. To uproot the menace of climate change, the incumbent government has launched ‘clean and green Pakistan campaign’, which is a good omen. Punjab chief minister has also announced plantation competition to grapple the blight of excruciating climate. KP has witnessed fruitful outcomes through billion-tree tsunami acknowledged by German Ambassador, Martin Kobler. The previous initiative is a guideline and lesson learnt to make this effort a sustainable one. One must remember that Pakistan’s forest cover constitutes approximately 4.4 percent of its total land area, which must be of 25 percent as per International Standards. No one denies the fact that trees play pivotal role in combating global warming. It has been said that ‘trees on, global warming gone’. A single tree can absorb 8kg of CO2 per day that become 2920 kg/year. Forests have pivotal role in ameliorating air quality. The US Department of Agricultural (USDP) has found out that trees absorb 6 tons of CO2 and in return provide 4 tons of oxygen. Trees have manifold and countless blessing for human beings – protect the soil from erosion, reduce temperature, absorb minute particles and alleviate the level of noise pollution. They are also used for food, fuel and medicinal purposes, which encompass Cidar, Aloe Vera, Apple etc. The plantation drive augurs well for the country but one should refrain from haphazard measures. One must have enough insight of ecological merits and demerits of growing plants. Native plants are the most viable option. Introduced and exotic plants species such as the Islamabad’s paper mulberry, water gulping eucalyptus and ashoka and most prominent in some areas of Karachi, conocarpus are not suitable and might contribute more in global warming. These newly introduced species stand no-where with native peepal, neem, drek and so on. Fireflies and butterflies remained common in lawns of homes until 1990s, vanished owing to pesticide sprays and decline of native species. Same goes to some bird species as well. To make these campaigns workable and pragmatic, smart techniques sought to be there. The recent most fast growing technique has introduced by the Japanese botanist, Akira Miyawaki through which plants can be grown ten times faster than in nature. His technique is being followed across the world. By emulating his model, Karachi based activist is doing tremendous job and has already established two tiny forest – ability to reduce the temperature of site by 4-5 Degree Celsius. 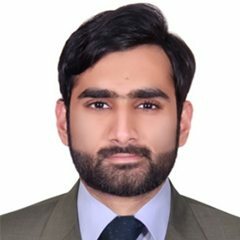 In the light of this technique, Mr Azhar Ali, having experience of over 20 years in Europe in environment and ecology proposed Miyawaki technique with pitcher irrigation system. Through this, plants would require water once in a week. Within one year, one may witness significant growth equals to eight to ten year old forest. This tiny forest model could be implemented in urban centres of cities to make environment clean, green and healthy. Islam categorically prohibits the exploitation of resources. It acknowledges the importance of trees ages ago. Our beloved Prophet Muhammad (PBUH) always taught His companions not to destroy trees during battles and emphasized on plantation. Public can be mobilized by giving references from hadith and by highlighting the teachings of Islam. Masjids, especially during Jumma sermons, public can be taught about the significance of environment and climate change. In a similar vein, Imam Kaabah can play pivotal role in highlighting the importance of plantation in order to reap positive and long-term benefits. Moreover, country’s burning issues followed by Islamic teachings must be a part of syllabus at all levels. The most quoted Chinese proverb says that the most suitable time to plant a tree was two centuries ago, but the second best and most suitable time is now. We should work on war footing to make this country clean, green and healthy for upcoming generations.